We report on a previous sunday aac parachute event over a month ago and the guys and gals were at it again. This time the main target wasn't a landing pad on the USS paris's but one that had been set up outside the tactical area. Unlike the previous events I didn't miss my target completely but have to admit I somehow crossed sims in the middle of a jump Indicating my steering skills needed more than a little work. We did a few jumps and i was able to hit the target on all of them. But I think my best score was about 1.3 meters from the bullseye whilst most people were getting within a meter. 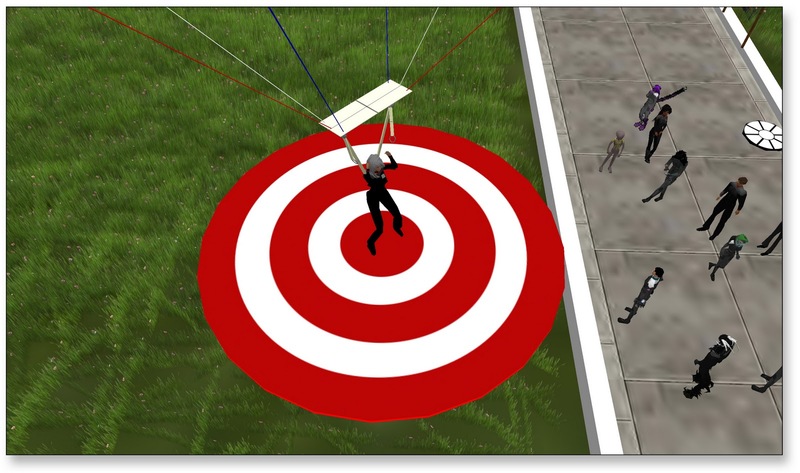 My parachuting skills are a little rusty to say the least but I may have discovered the secret of getting closer to the bullseye. We'll see if I can put that in practice for the next parachute event.